Disclaimer: I have never been a crop scout. My intolerance for insects insinuating themselves in places that are competing for the sweat rolling down the back and pant legs would not allow for that career path. But my respect for those who do is irrefutable. In the past few years of assisting companies to transition from their historically paper-based scouting methods to digitally mapped data, I have learned a great deal about the tools that are needed to make this happen successfully. The first lesson I have learned from the 20 (and counting) company setups that I have done recently is that there are 20 (and counting) scouting methodologies. Every company has their preferred output, their own scouting priorities, their favorite picklists, and their own unique order of workflow. There are a ton of apps available for crop scouting for phone or tablet that allow for a pin drop with a popup window for data entry and inserting photos of pests and problems. Some link to weed, pest, or disease picture databases to help identify and diagnose. As the ag chem companies reach out with their version of these point-and-click solutions, the added enhancement of product selection to record or recommend treatments is becoming common. These apps seem designed for easy adoption for the grower. But I see much more scouting performed by consultants and industry service providers and they need more professional solutions. All data collection methods benefit from the collaborative approach. Having a shared platform for scouting is key. Especially so because it is not uncommon for the herds of summer hires — those eager future agronomists getting their feet wet with the summer scouting job placement — to require agronomic supervision by the more seasoned veterans. A well-worn scenario involves the fledgling scouts in the field diligently recording conditions and locations, validating or questioning with photos and copious notes for the veterans to vet at the end of the day or before sending that crucial report to the grower with the observations and advice. With this workflow in mind, the current status of field apps that allow scouts to scout and advisors to advise; what’s not to love? And in truth lots of scouting services will be perfectly served with any of the brands of tools out there. View of CropTrak screen. Enhanced mapping with zones, Liquid application actions recommended. But what if you need to communicate with more than just a pin drop “I saw this here”? The more robust data collectors allow advanced mapping and scouting scenarios. The one I am most familiar with is CropTrak from Cogendt3D. 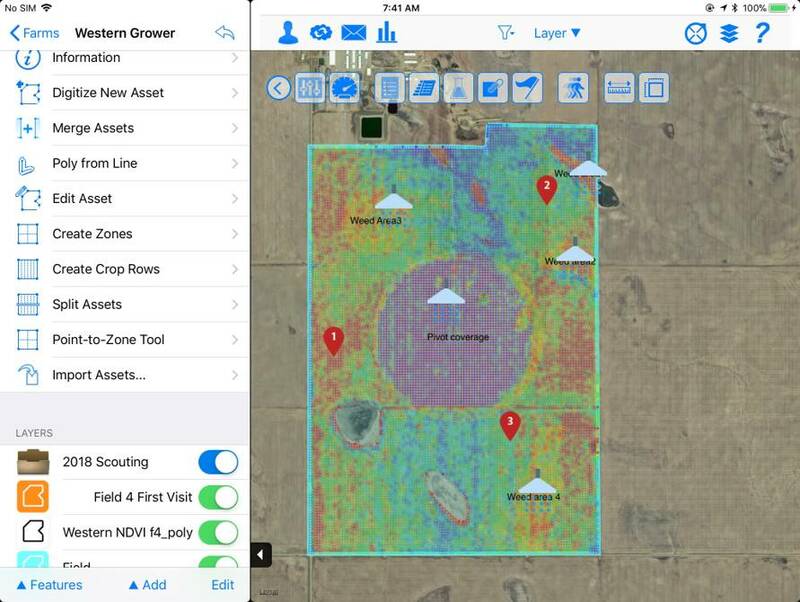 While the pin drop method can be employed, CropTrak offers the ability to also map regions in the field, then drop the data collection and photos and even audio into the region. Even better, it can do both: Here is a region, there is a point reference, and the output is customized to represent either and both methodologies. Where this differs significantly is not just on the picture of the scouting mission. In most scouting apps the digital output of what in paper world used to be the map sketch, is at least now a jpg or pdf version to email, save, or use as reference in subsequent field visits. The pin locations are also now an actual geographic location with saveable coordinates. In the enhanced mapping of CropTrak the ability to map zones where the observations were made and then immediately add the recommended product and rate is the doorway to creating an actual recommendation map complete with the ability to send directly to application equipment. Scout field, mapping zones where conditions warrant an area to be defined. Make observations and recommendations for any of the zones. View this as a map and report; send as a PDF to customer. And/or view this as an excel style layout to summarize recommendations. Approve and either export to an industry standard shapefile format to be emailed to customer or applicator or even send directly to the customer’s JD Operations center, Raven Slingshot account, or a shared Dropbox account. More integrations are will come in time. Now the scouting and recommendation workflow enables VRA (Variable Rate Application) in the case of fertility recommendations such as Nitrogen top ups, or DPA (Defined Placement Application) in the case of crop protection treatments. We are in an era of complex management of herbicide resistance requiring detailed understanding of multiple modes of action, application histories, and innovative approaches. Scouting and in-field mapping is a critical player in this quest for best strategies. I hear the “buts” to this advanced ability: “But it has to be simple. But it has to be fast.” Of course, but my customers are telling me “It needs to be more complete and multifunctional”. Then to be so, more tools are required in a scouting app than a location bubble. Making map regions clearly defines the extent of the condition, problem, or infestation. You cannot calculate acres on a point! Making map regions enables more knowledge on the field revisit. Has the problem grown in extent, size, or severity? Which direction has it spread? Mapped regions have implications for comparing conditions year after year in the case of perennial problems. Mapped regions also become the query tool for analyzing effects of the scouted condition on yield, and for examining the efficiency and performance of the applied treatment. With the advent of satellite or UAV imaging as an important view of the crop health conditions, we have come to understand that they can only show us where things are different, but not always the why. Advanced scouting and mapping techniques are the other side of the search for meaning and region-specific management. Lastly, the other big deal about scouting apps is “how exportable are the scouting records?”. Many of even the most popular scouting apps have limited abilities to export the georeferenced observations to third-party programs for long-term or post-season analysis. There are many who want to be able to integrate across multiple platforms. I am sorry, but the days of “we are all using a single platform” or “all my software eggs are in the same brand basket” are not here and might never be our choice to use, so in the meantime we just need to be able to talk across platforms. In the case of FMIS (Farm Management Information Systems) that can import shapefiles from any source, the use of robust or enhanced scouting, such as those illustrated with CropTrak, broadens the utility of map-based scouting beyond the scouting season. Scouting needs to be more than just a pin drop. 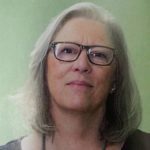 Karon Tracey-Cowan launched AgTech GIS in 1995 to provide tools, information, support, and training services to the Canadian ag industry using GIS and web-based technologies. AgTech GIS has a 20+ year history promoting products from Ag Leader Technology and other leading brands with recent addition CropTrak, always promoting solid tools to get quality data into the hands of decision makers. More than just a software reseller, Karon is a front line user of ag-specific GIS software products to communicate soil sampling information, yield maps, imagery analysis, field level topographic data, and variable rate prescriptions. Karon’s career focus has been to develop mapping and data management competency for growers, consultants, and local agri-businesses through a personalized training approach. Karon also teaches the Precision Ag Course Lab section and Intro to GIS at the University of Guelph, Ridgetown Campus. You can contact her at [email protected] or via Twitter @AgTechGIS. For more information, visit www.agtechgis.com/index.cfm/blog/. See all author stories here.